When a device overheats, its delicate components can become overworked and begin to malfunction and even break. That’s why you want to be sure that you are not exposing them to high temps. And an overall effective way to keep your devices from getting too hot is to keep them away from direct sunlight — so no keeping them near windows! Dust is as damaging as sunlight to your devices, but unfortunately, you can’t prevent dust by avoiding windows. Since dust more or less always accumulates, you’ll want to simply stay on top of your dusting routine to keep it from damaging your devices. So, wipe them down regularly and use canned dust spray for those hard-to-reach nooks and crannies. You can see and control the sunlight and dust, but you can neither see nor control an electrical surge. If a surge suddenly strikes, then your devices could be fried just like that. Luckily, while you can’t prevent surges from happening, you can prevent them from frying your devices. To do that, simply get surge protection for your home. Your devices are like you and me: They need to rest. Yes, it might be tempting to leave your computers on so that you don’t have to deal with waiting for them to boot up every day, but resist that temptation. You could be causing your devices to overwork and miss out on important updates. Instead, take the time to power them down when you’re done using them so they can get the rest they need. Even with all of this care, your devices might experience issues at some point. 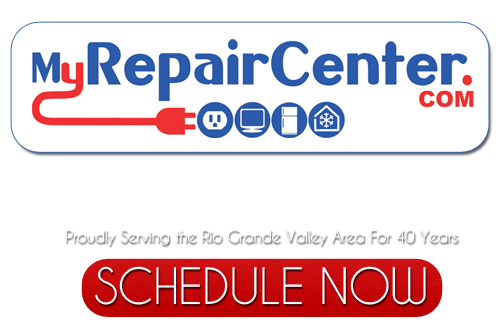 And if that point comes for you, just call the Rio Grande Valley repair pros at My Repair Center. We offer top-quality electronic repair services at a great price so that you can continue using your much-needed devices no matter what might have afflicted them.